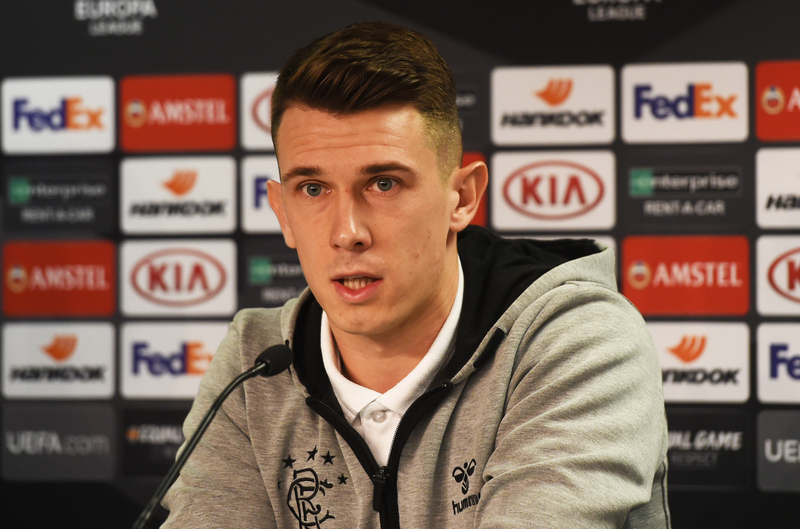 RANGERS midfielder Ryan Jack says he will finally scratch the Europa League itch that has been bothering him since his Aberdeen days when Spartak Moscow visit Ibrox on Thursday. The Scotland international was part of a Dons team who battled their way to the tournament’s third qualifying round three times on the spin between 2014 and 2016. But each time there was only frustration in store as the Pittodrie men fell to Real Sociedad, Kairat and then Maribor. Even when the 26-year-old swapped the Granite City for Govan last year, it did not lead to the kind of extended European adventure he was dreaming of as Pedro Caixinha’s side were humbled by Progres Niederkorn. But the arrival of Steven Gerrard this summer has granted Jack his wish and after missing their first two Group G games through injury, the midfield anchorman is set to make his group-stage debut against Spartak. He said: “When I was joining Rangers, the hope of playing at this level of European football was a big factor. “I felt that we were building a squad of players that could hopefully make the group stages. I had missed out on that opportunity two or three times in the past. “Thankfully, this season, the manager has built a really strong squad and a really good group of players. A calf strain picked up on Scotland duty at the start of last month left Jack to watch on as Gers kicked off their bid for the knockout stages with an impressive 2-2 draw against Villarreal and then as they downed Rapid Vienna 3-1 earlier this month. “When you watch a match like the one against Rapid Vienna here, then of course you want to be out there and involved,” he added. “You could see from the way the team played – right from the kick-off – that we were set up to go out and attack. “The aim was to really take the game to Rapid and be positive. The fans really bought into the way we played and I thought the boys were excellent that night. “Tomorrow, it’s more about a similar performance. I’m sure if we can put in the commitment – and show that desire – then the fans will come with us again.